This is an older, but very well maintained facility. The check in was smooth with a very friendly owner helping me. He even took me over to our site which was all grass and not too close to other campers. The restroom/showers were in an older building, but extremely clean. My wife used the laundry room which was also very nice. There was something about the place that reminded me of a summer camp, which was a good thing. It has a pool and other things for kids to do. 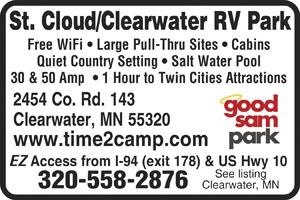 The RV park is close to the town of Clearwater with many excellent shopping opportunities. The site we had did not have wi-fi available which is the only negative we had about the place. We would definitely stay here again. We've been at this park for one week now and I couldn't wait to right a review. We plan to stay here for one month. I work from the motorhome, so I rely on a good Internet connection. I primarily use my AT&T hotspot which is expensive. But I was very pleasantly surprised that the WiFi in this park was so good that I didn't have to use my hotspot! I don't know how they do it, but even when the park is sold out on the weekends, the WiFi is great! This is the 4th summer we've lived & worked in our motorhome and this is best WiFi I have found so far. This is an older park, but it is well maintained and family run. The owners are working in the park everyday. The bathrooms are clean, the grass is cut regularly. This is a very family friendly park with a new salt water swimming pool. On the weekends the park is completely full with families and their kids. It's great to see them all having such a good time. And they've all been well behaved. Prices are very reasonable. 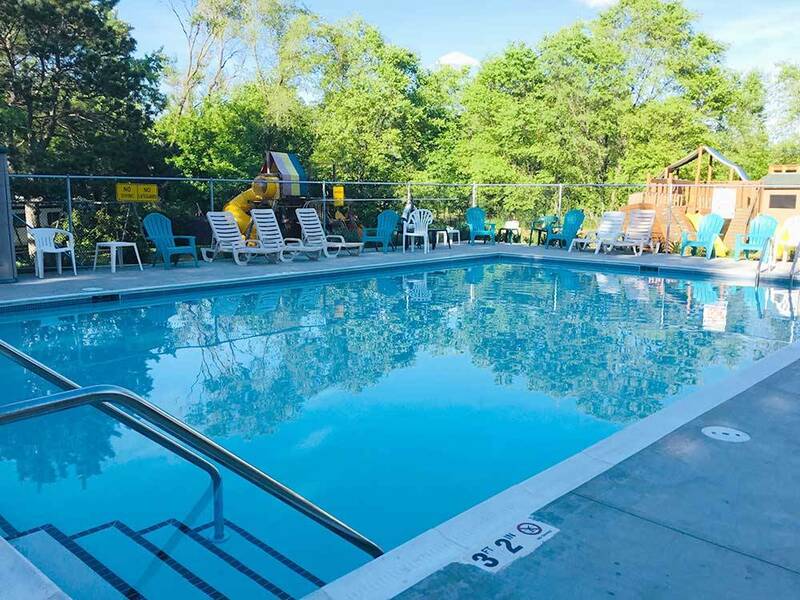 Overall, this is a great family friendly place to stay and they have excellent WiFi. Thank you for the review. Glad you are enjoying your stay with us.